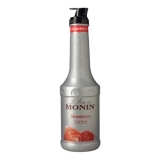 This Monin fruit puree is the perfect mix of red berries, the finest balanced blend of strawberry, raspberry and blueberry in a 1 litre plastic bottle. This very powerful and trendy flavour will bring an incredibly mild sweet to tart taste and texture to please the taste buds of your customers. Colour: Deep dark red with purple glints. Tasting: Nose of red berries with strong blackcurrant notes. Length in mouth nearly candy notes. 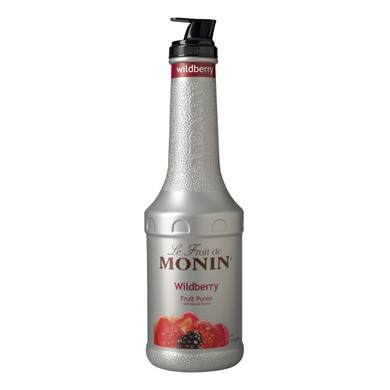 Sugar, red fruits puree (strawberry, raspberry, blueberry), natural flavours, colouring agent: anthocyanins, acidifying agent: citric acid, thickening agent: pectin, preservative agents: potassium sorbate. Contains 50.1% of red fruits puree.